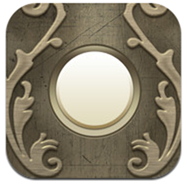 Some iPhone apps create little niches that we didn’t even know existed. Others take a manual task and replace it with a nice, shiny digital alternative. Some even manage to do both at once, and Pocket Doorbell is one such app. Those of us old enough to remember the time before mobile phones will no doubt be able to recall plenty of occasions where you would pop around to a friend’s house unannounced, stab at that dirty old door bell and wait. And wait. And wait. See, the problem with door bells is that they rarely actually work. Either the wires are broken, or in the case of the new wireless ones, the battery is dead. If it’s a cheap wireless one, it probably never worked anyway. To cut an already long story a little shorter, the upshot is that you’re stood there, invariably getting wet, waiting for someone to answer a door that they don’t realize someone is stood at. These days we just drop the person an SMS or a phone call to announce our arrival. Pocket Doorbell takes that idea and links it to a virtual door bell which works using the magic of geolocation. 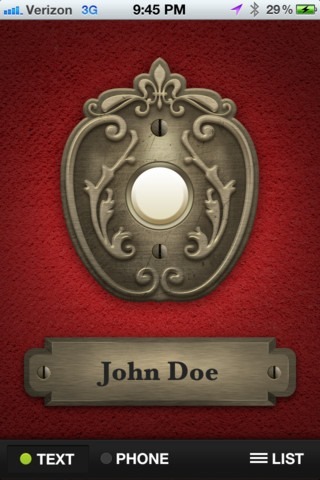 The app, which boils down to one button – a door bell, obviously – uses your friends’ location as a trigger. When you are near their homes, hitting the big door bell will either send out an SMS to let them know you are around, or initiate a call for those that prefer a more vocal touch. Users in your Contacts that have an address attached are automatically available inside Pocket Doorbell, and any others can be set up the first time you visit a location. The app will remember the geolocation and you can then assign a contact to that. You’re good to go the next time you arrive. The app itself will set you back $0.99, which isn’t going to break the bank. It is an interesting use of geolocation, and one which we’ve not come across before. Yes, it may be a little gimmicky but if you’re stood outside someone’s house and fiddling around with your Contacts app trying to find a phone number, then being able to stab at a virtual door bell may seem like a great idea!